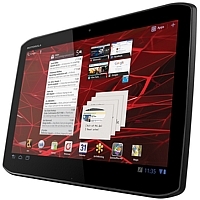 Motorola has finally unveiled XOOM's successors in the form of two new tablets XOOM 2 and XOOM Media Edition. Both the tablets run on the latest Android Honeycomb operating system the Wi-Fi versions of the tablets will be available in UK and Ireland in the second half of this month. An Indian price and launch date has not been mentioned by the company as of now but considering that the XOOM tablet is priced at Rs 29,999 (32GB Wi-Fi) and 35,000 (32GB Wi-Fi+3G) in the Indian market, we can expect the devices to be launched in the same price range. "Tablets are quickly becoming a must-have tool for staying connected, getting work done and having fun at home and on the road. We are excited about these two new additions to our tablet portfolio," said Victoria McManus, marketing director UK & Ireland, Motorola Mobility. The tablet comes with a 10.1inch high definition widescreen display (1280x800) with scratch resistant corning Gorilla glass and runs on the Android 3.2 Honeycomb operating system (OS). It is powered by a 1.2GHz dual-core processor and has 1GB of RAM. The internal memory of the device is 16GB but whether that is expandable or not is not clear as of now. The funny thing about the camera is that Motorola has chosen to stick to the same 5 mega pixel auto-focus camera with digital zoom as in the original XOOM, but have opted for a single LED flash instead of a dual-LED flash (last time we checked dual-LED was better). The rear camera can also record high definition videos (1080p) at 30fps but the front facing camera has been reduced to a 1.3 mega pixels camera from a 2 mega pixel camera in the original. The device is thinner (by 4.1mm) and lighter (by 101grams) than its predecessor and its dimensions are 253.9mm x 173.6mm x 8.99mm and its weight is 599grams. It comes with 3D virtual surround sound and a Splash guard for protection against accidental splashing. It has MotoCast preloaded in it hence users can stream files from their PC directly to the tablet and the company is also providing a stylus for better precision while using on the tablet. 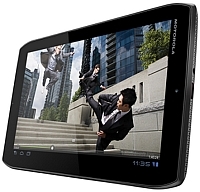 Unlike XOOM 2, this tablet has an 8.2inch HD display (1280x800) with scratch resistant corning Gorilla glass and a wide, 178 degree viewing angle. It also runs on the Android 3.2 Honeycomb OS and is powered by a 1.2GHz dual-core processor like XOOM 2. The RAM (1GB) and the internal memory (16GB) of the device are also the same as XOOM 2. The camera is also similar to XOOM 2; it has a 5 mega pixel auto-focus rear camera with digital zoom and LED flash with HD video (1080p) recording at 30fps. The front facing camera is 1.3MP. The device is thinner (by 3.9mm) than the original XOOM and it is lighter than both XOOM (by 314grams) and XOOM 2 (by 213grams). The dimensions of the device are 139mm x 216mm x 8.99mm and its weight is 386grams. It comes with Adaptive virtual surround sound with multiple speakers and booming bass and has MotoCast preloaded in it. The Splash guard has been provided and the stylus can also be used with this tablet. The tablets competitors in the Indian market should include Acer's Iconia A500 (Rs 26,915) and W500 (Rs 31,990) tablets, Apple's iPad 2 (Rs 29,500), BlackBerry Playbook (Rs 32,990), Samsung's Galaxy Tab 750 (Rs 33,000) and HTC Flyer (Rs 36,900). The devices are better looking and more powerful than their predecessor, but the price at which they are launched will play an important role in their acceptability in India (where the tablet market is dominated by Apple and Samsung). Also, the company has not yet mentioned whether the tablets will get an Android Ice Cream Sandwich update or not.